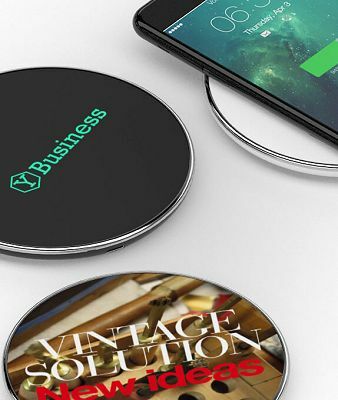 Express QI Wireless Chargers for Logo Branded Gifts. Price includes up to full colour digital print as standard on one position. Delivery and VAT extra. An Express delivery logo printed mobile phone battery charger with QI wireless magnetic induction technology and energy emission of 5W. 96mm diameter branding area up to full colour. 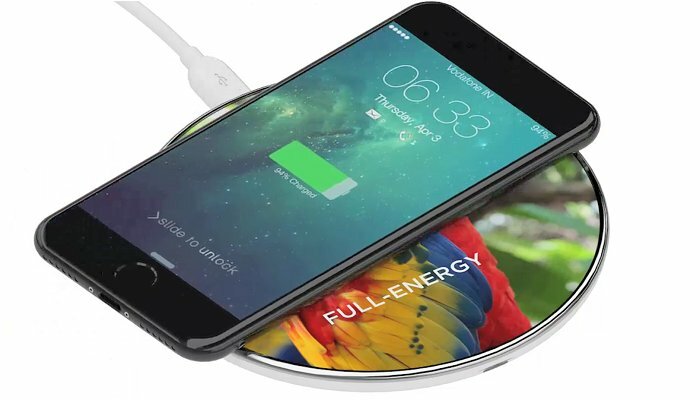 This is the express delivery version of our BP2155 wireless charger which is available at a lower price. 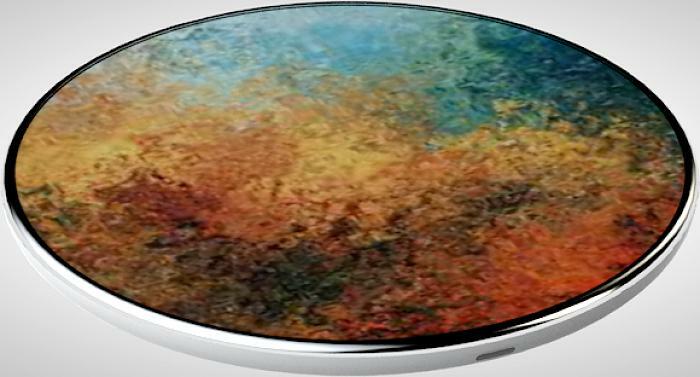 The ultra-slim charging base is a 10cm diameter disc made from lightweight plastic. The whole top surface of the plastic disc can be customised with your graphics and logos using silk screen-printing, CMYK printing. 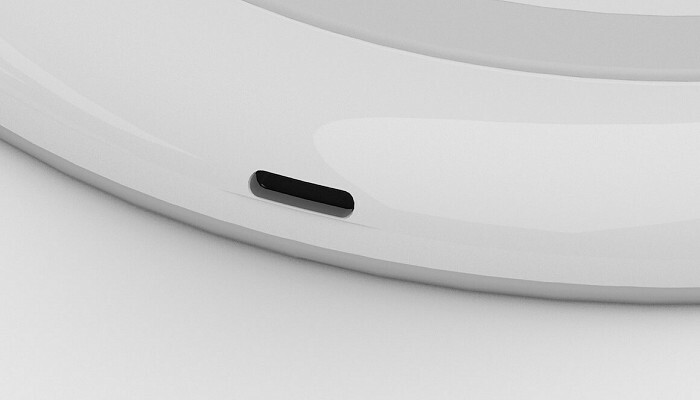 It is fitted with a micro USB port and when the battery charger is connected to a power source such as a laptop or wall socket a small LED light comes on to indicate that it is charging. Logo Printing: Full colour digital print. A crystal box is a plastic pack with a square base and a transparent lid, fitted with a thermoformed support to house the product. 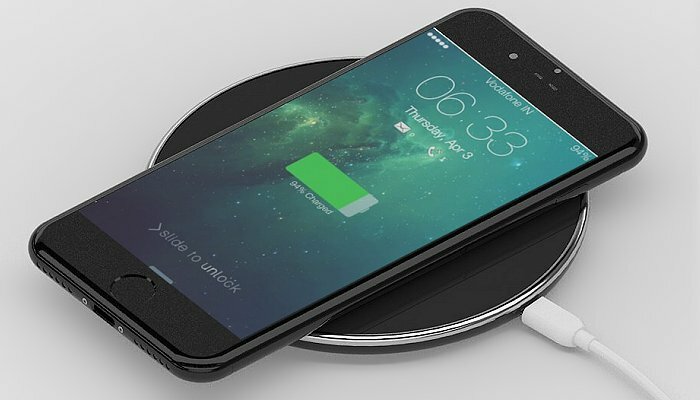 What mobile phones work with these wireless chargers? 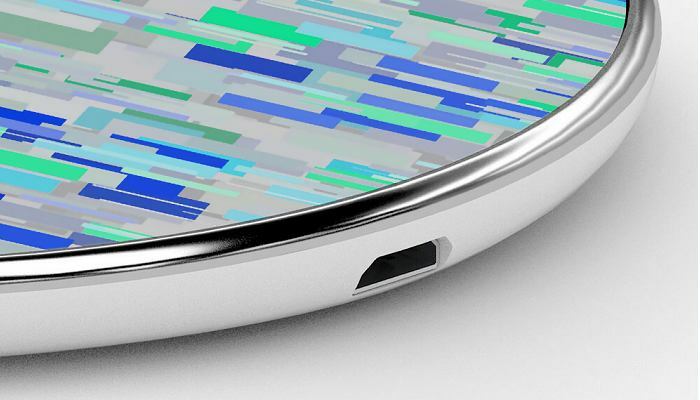 NOKIA Lumia 930, Lumia822, Lumia830, Lumia735, Lumia920, Lumia929, Lumia820, Lumia1020l Lumia1520.